Fitbit, nitwit… If you are a partner and Apple changes direction, you better be ready to make a course correction and fast. Otherwise you will be left behind. While former partner Bose will likely survive their falling out with Apple and then expulsion from the Apple Store, Fitbit’s future seems far less sanguine. Although Fitbit hasn’t made a public statement per se, the company has acknowledged on its user forums that it will not be integrating Fitbit with Apple’s HealthKit. While that might be the right move for Fitbit, pretty much rest of the planet is working to integrate with iOS 8, HealthKit and, eventually, Apple Watch. How’s that working out so far? 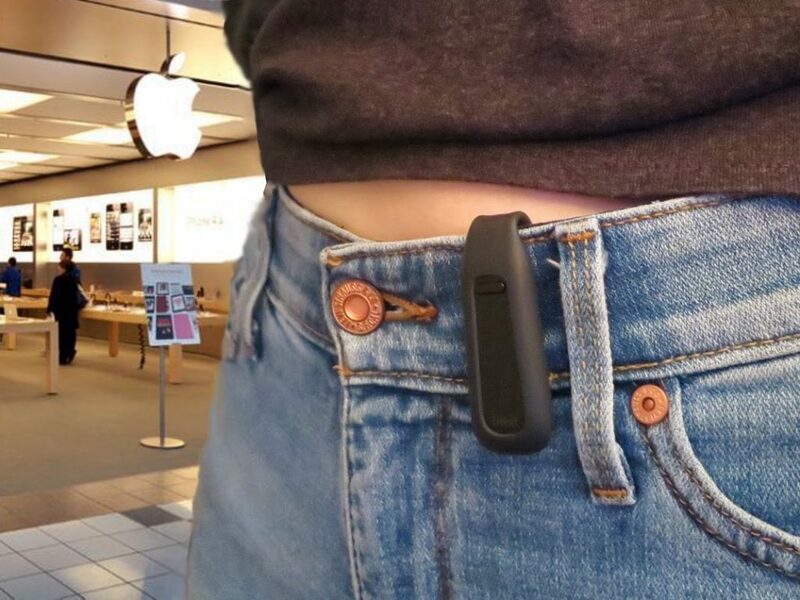 All traces of Fitbit have been pulled from Apple.com and all Apple Stores. 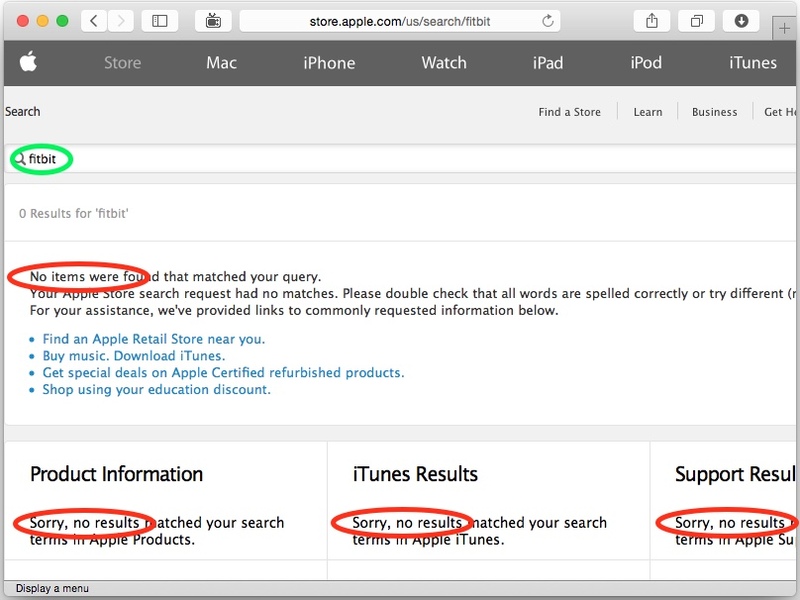 Search Apple.com for Fitbit and you will get precisely zero results — erased from existence. Sound familiar? In October, following a public dust up involving Bose, recent Apple purchase Beats, the NFL and variously NFL players, notably Colin Kaepernick, Bose products were pulled from the Apple Stores worldwide. At the time, neither Apple nor Bose ever publicly commented on their apparent falling out. Regardless, a series of events did culminate with Bose being expunged from the Apple universe. Ditto that for Fitbit? Apple hasn’t made any statements one or another about Fitbit, but the wearable fitness bracelet maker is gone.